Building codes illustrated : a guide to understanding the 2012 international building code, 4th ed. 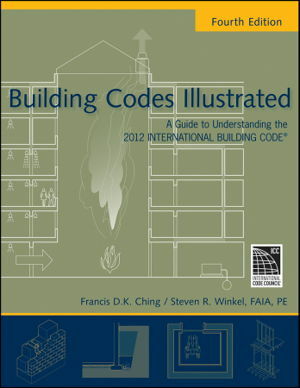 This unique reference to the 2012 International Building Code marries the graphic skills of bestselling author Frank Ching with the code expertise of Steven Winkel, FAIA. It pulls out the portions of the building code that are most relevant for the architect and provides an easy-to-understand interpretation in both words and illustrations. Rather than a text-heavy book, this is much more conducive to quick comprehension of the code, presenting information in an exciting user-friendly visual format.Automotive service management : principles into practice. Automobile service management : principles into practice, 2nd ed. 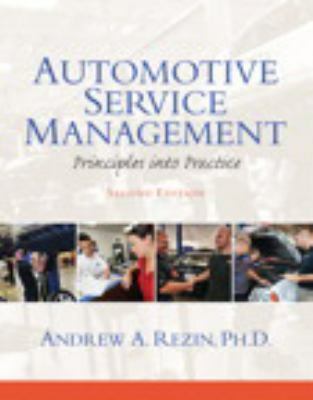 Automotive Service Management: Principles into Practice, Second Edition, provides coverage across a wide range of topics that are critically important in the fast-paced, complex world of automotive service management. 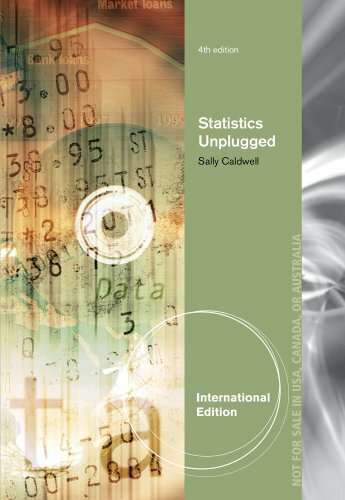 Exploring over 30 different topics, the text’s conversational tone and real-life examples help reinforce key points and concepts. Designed for those in training to enter the automotive service industry, this text also provides sufficient depth and breadth of content to be a valuable resource to support continuing development for industry service professionals. Medium [or] heavy truck engines : fuel and computerized management systems,4th ed. The most comprehensive guide to highway diesel engines and their management systems available today, MEDIUM/HEAVY DUTY TRUCK ENGINES, FUEL & COMPUTERIZED MANAGEMENT SYSTEMS, Fourth Edition, is a user-friendly resource ideal for aspiring, entry-level, and experienced technicians alike. Coverage includes the full range of diesel engines, from light duty to heavy duty, as well as the most current diesel engine management electronics used in the industry. The extensively updated fourth edition features nine new chapters to reflect industry trends and technology, including a decreased focus on outdated hydro mechanical fuel systems, additional material on diesel electric/hydraulic hybrid technologies, and information on the principles and practices underlying current and proposed ASE and NATEF tasks. With an emphasis on today’s computer technology that sets it apart from any other book on the market, this practical, wide-ranging guide helps prepare you for career success in the dynamic field of diesel engine service. 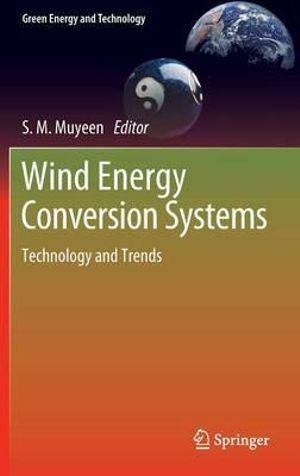 Wind energy conversion systems : technology and trends. Wind Energy Conversion System covers the technological progress of wind energy conversion systems, along with potential future trends. It includes recently developed wind energy conversion systems such as multi-converter operation of variable-speed wind generators, lightning protection schemes, voltage flicker mitigation and prediction schemes for advanced control of wind generators. Modeling and control strategies of variable speed wind generators are discussed, together with the frequency converter topologies suitable for grid integration. Wind Energy Conversion System also describes offshore farm technologies including multi-terminal topology and space-based wind observation schemes, as well as both AC and DC based wind farm topologies. The stability and reliability of wind farms are discussed, and grid integration issues are examined in the context of the most recent industry guidelines. Wind power smoothing, one of the big challenges for transmission system operators, is a particular focus. Fault ride through and frequency fluctuation mitigation using energy storage options are also covered. Efficiency analyses are presented for different types of commercially available wind turbine generator systems, large scale wind generators using superconducting material, and the integration of offshore wind and marine current farms. Diagnosis and troubleshooting of electrical, electronic and computer systems, 6th ed. Diagnosis and Troubleshooting of Automotive Electrical, Electronic, and Computer Systems, Sixth Edition, covers both automotive electrical and engine performance topics all in one book. NATEF-correlated, the text presents the principles and practices of diagnosis and troubleshooting of automotive electrical, electronic, and computer systems in a clear, concise format and at a level of detail that far exceeds most similar texts. 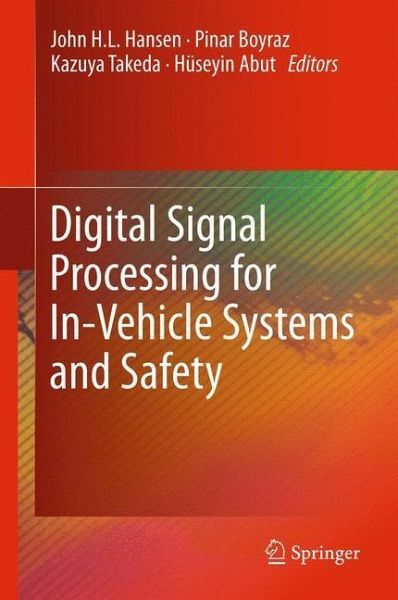 Digital signal processing in vehicles systems and safety. Compiled from papers of the 4th Biennial Workshop on DSP (Digital Signal Processing) for In-Vehicle Systems and Safety this edited collection features world-class experts from diverse fields focusing on integrating smart in-vehicle systems with human factors to enhance safety in automobiles. Digital Signal Processing for In-Vehicle Systems and Safety presents new approaches on how to reduce driver inattention and prevent road accidents. The material addresses DSP technologies in adaptive automobiles, in-vehicle dialogue systems, human machine interfaces, video and audio processing, and in-vehicle speech systems. The volume also features recent advances in Smart-Car technology, coverage of autonomous vehicles that drive themselves, and information on multi-sensor fusion for driver ID and robust driver monitoring. Digital Signal Processing for In-Vehicle Systems and Safety is useful for engineering researchers, students, automotive manufacturers, government foundations and engineers working in the areas of control engineering, signal processing, audio-video processing, bio-mechanics, human factors and transportation engineering. This brand new textbook by one of the leading engineering authors covers basic sheet-metal fabrication and welding engineering principles and applications in one volume – an unrivaled comprehensive coverage that reflects current working and teaching practice. It is fully up-to-date with the latest technical information and best practice and also includes chapters on non-technical but equally essential subjects such as health and safety, personal development and communication of technical information. Roger Timings covers these areas of mechanical engineering and workshop practice in a highly practical and accessible style. Hundreds of illustrations demonstrate the practical application of the procedures described. The text includes worked examples for calculations and key points to aid revision. Each chapter starts with learning outcome summaries and ends with exercises which can be set as assignments. 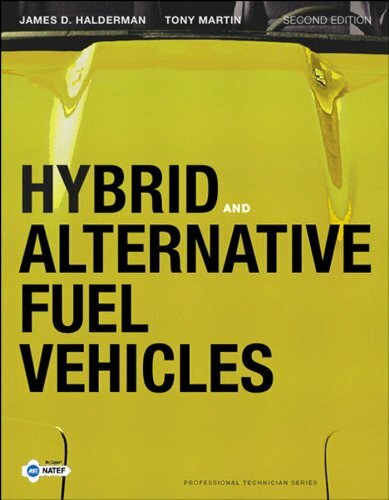 Designed for service technicians and automotive students, Hybrids and Alternative Fuel Vehicles, 2e, offers practical coverage of hybrid vehicles. Beginning with the fundamentals, the book discusses historical trends and environmental concerns, followed by separate chapters detailing each major hybrid system. The text highlights products from leading manufacturers, making the information easy to incorporate into an existing course. Throughout the text, ample photos and illustrations, as well as features such as Real World Fix boxes, help readers effectively understand and service hybrid vehicles. Fundamentals of machining processes : conventional and nonconventional processes. Machining remains a hugely important process in modern engineering and manufacturing practice, and students need to be aware of the vast host of methods and technologies available to meet all sorts of precision and surface finish requirements. 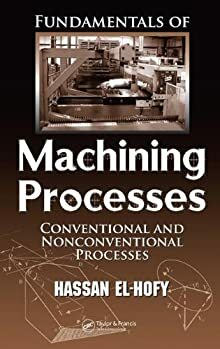 Fundamentals of Machining Processes: Conventional and Nonconventional Processes is the first textbook to collect all of the major methods into a single reference, from cutting and abrasive processes to erosion, hybrid, and micromachining processes. The text is based on a course on turbomachinery which the author has taught since year 2000 as a technical elective. Topics include; Energy Transfer in Turbomachines, Gas and Steam Turbines, and Hydraulic Turbines. New material on wind turbines, and three-dimensional effects in axial turbomachines is included. The level is kept as such that students can smoothly move from a study of the most successful books in thermodynamics, fluid dynamics, and heat transfer to the subject of turbomachinery. The chapters are organized in such a way that the more difficult material is left to the later sections of each chapter. Thus, depending on the level of the students, instructors can tailor their course by omitting some sections. Provides information on several types of turbomachinery rather than concentrating specifically on one type such as centrifugal compressors. Schaum’s outlines theory and problems of heat transfer. Steam plant operation, 9th ed. For more than 75 years, this book has been a trusted source of information on steam power plants, including the design, operation, and maintenance of major systems. Steam Plant Operation, Ninth Edition, emphasizes the importance of a comprehensive energy plan utilizing all economical sources of energy, including fossil fuels, nuclear power, and renewable energy sources. Wind, solar, and biomass power are introduced in the book, and the benefits and challenges of these renewable resources for the production of reliable, cost-effective electric power are identified. Even with these new technologies, approximately 90% of electricity is generated using steam as the power source, emphasizing its importance now and in the future. In-depth details on coal-fired plants, gas turbine cogeneration, nuclear power, and renewable energy sources are included, as are the environmental control systems that they require. Potential techniques for the reduction of carbon dioxide emissions from fossil fuel–fired power plants also are presented. This practical guide provides common power plant calculations such as plant heat rate, boiler efficiency, pump performance, combustion processes, and collection efficiency for plant emissions. Numerous illustrations and clear presentation of the material will assist those preparing for an operator’s license exam. In addition, engineering students will find a detailed introduction to steam power plant technology. Sustainable engineering : concepts, design and case study. Structural glass facades and enclosures. 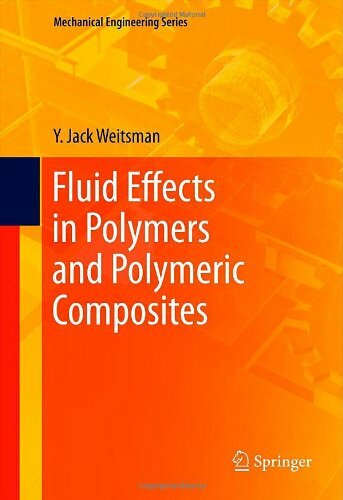 Fluid Effects in Polymers and Polymeric Composites, written by the late Dr. Y. Jack Weitsman, addresses the wide range of parameters that affect the interaction of fluids with polymers and polymeric composites. The book aims at broadening the scope of available data, mostly limited up to this time to weight-gain recordings of fluid ingress into polymers and composites, to the practical circumstances of fluctuating exposure. Various forms of experimental data are given, in conjunction with theoretical models derived from basic scientific principles, and correlated with severity of exposure conditions and interpreted by means of rationally based theoretical models. The practical implications of the effects of fluids are discussed. The issue of fluid effects on polymers and polymeric composites is of concern to engineers and scientists active in aerospace and naval structures, as an increasing portion of these structures are made of polymeric composites and employ polymeric adhesives as a joining device. While the book is intended for this audience, it will also interest researchers and graduate students interested in the mechanics and materials aspects of this matter. Regeneration of tissues and organs remains one of the great challenges of clinical medicine, and physicians are constantly seeking better methods for tissue repair and replacement. Tissue engineering and regenerative medicine have been investigated for virtually every organ system in the human body, and progress is made possible by advances in materials science, polymer chemistry, and molecular biology. 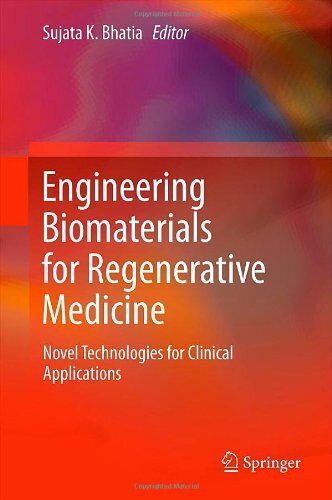 This book reviews the current status of biomaterials for regenerative medicine, and highlights advances in both basic science and clinical practice. The latest methods for regulating the biological and chemical composition of biomaterials are described, together with techniques for modulating mechanical properties of engineered constructs. Contributors delineate methods for guiding the host response to implantable materials, and explain the use of biologically-inspired materials for optimal biological functionality and compatibility. The book culminates in a discussion of the clinical applications of regenerative medicine. By integrating engineering and clinical medicine, Engineering Biomaterials for Regenerative Medicine examines how tissue engineering and regenerative medicine can be translated into successful therapies to bridge the gap between laboratory and clinic. The book will aid materials scientists and engineers in identifying research priorities to fulfill clinical needs, and will also enable physicians to understand novel biomaterials that are emerging in the clinic. This integrated approach also gives engineering students a sense of the excitement and relevance of materials science in the development of novel therapeutic strategies. This book is both a course book and a monograph. In fact, it has developed from notes given to graduate course students on materials processing in the years 1989 to 2006. 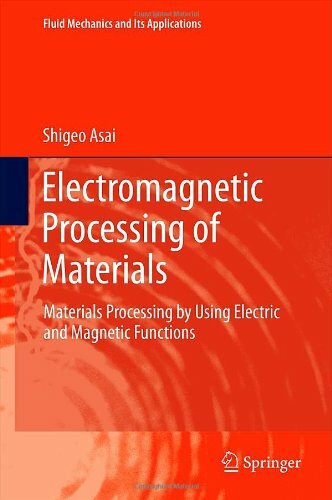 Electromagnetic Processing of Materials (EPM), originates from a branch of materials science and engineering developed in the 1980s as a field aiming to create new materials and/or design processes by making use of various functions which appear when applying the electric and magnetic fields to materials. It is based on transport phenomena, materials processing and magnetohydrodynamics. The first chapter briefly introduces the history, background and technology of EPM. In the second chapter, the concept of transport phenomena is concisely introduced and in the third chapter the essential part of magnetohydrodynamics is transcribed and readers are shown that the concept of transport phenomena does not only apply to heat, mass and momentum, but also magnetic field. The fourth chapter describes electromagnetic processing of electrically conductive materials such as electromagnetic levitation, mixing, brake, and etc., which are caused by the Lorentz force. The fifth chapter treats magnetic processing of organic and non-organic materials such as magnetic levitation, crystal orientation, structural alignment and etc., which are induced by the magnetization force. This part is a new academic field named Magneto-Science, which focuses on the development of super-conducting magnets. This book is written so as to be understood by any graduate student in engineering courses but also to be of interest to engineers and researchers in industries. Electronic Devices for Analog Signal Processing is intended for engineers and post graduates and considers electronic devices applied to process analog signals in instrument making, automation, measurements, and other branches of technology. They perform various transformations of electrical signals: scaling, integration, logarithming, etc. The need in their deeper study is caused, on the one hand, by the extension of the forms of the input signal and increasing accuracy and performance of such devices, and on the other hand, new devices constantly emerge and are already widely used in practice, but no information about them are written in books on electronics. The basic approach of presenting the material in Electronic Devices for Analog Signal Processing can be formulated as follows: the study with help from self-education. While divided into seven chapters, each chapter contains theoretical material, examples of practical problems, questions and tests. The most difficult questions are marked by a diamond and can be given to advanced readers. Paragraphs marked by /// are very important for the understanding of the studied material and together they can serve a brief summary of a section. The text marked by italic indicates new or non-traditional concepts. Calculated examples are indicated by >. 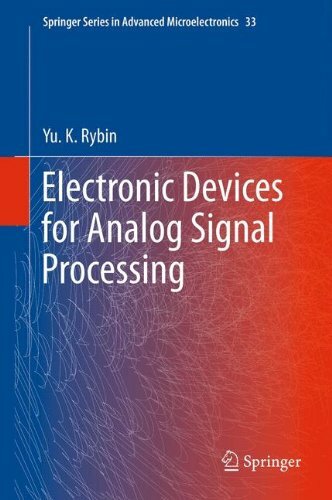 The main goal of Electronic Devices for Analog Signal Processing is not only to give some knowledge on modern electronic devices, but also to inspire readers on the more detailed study of these devices, understanding of their operation, ability to analyze circuits, synthesize new devices, and assess the possibilities of their application for solution of particular practical problems. The consumption of petroleum has surged during the 20th century, at least partially because of the rise of the automobile industry. Today, fossil fuels such as coal, oil, and natural gas provide more than three quarters of the world’s energy. Unfortunately, the growing demand for fossil fuel resources comes at a time of diminishing reserves of these nonrenewable resources. The worldwide reserves of oil are sufficient to supply energy and chemicals for only about another 40 years, causing widening concerns about rising oil prices. The use of biomass to produce energy is only one form of renewable energy that can be utilized to reduce the impact of energy production and use on the global environment. Biomass can be converted into three main products such as energy, biofuels and fine chemicals using a number of different processes. Today, it is a great challenge for researchers to find new environmentally benign methodology for biomass conversion, which are industrially profitable as well. 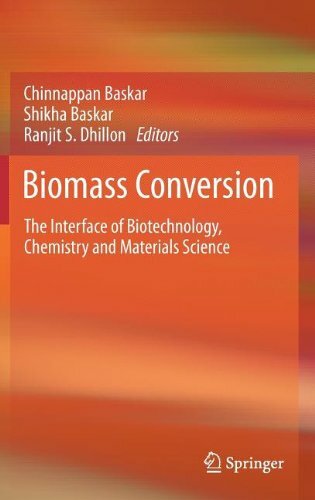 This book focuses on the conversion of biomass to biofuels, bioenergy and fine chemicals with the interface of biotechnology, microbiology, chemistry and materials science. An international scientific authorship summarizes the state-of-the-art of the current research and gives an outlook on future developments. 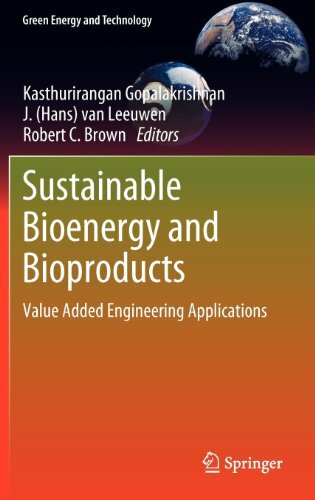 Sustainable Bioenergy and Bioproducts considers the recent technological innovations and emerging concepts in biobased energy production and coproducts utilization. Each chapter in this book has been carefully selected and contributed by experts in the field to provide a good understanding of the various challenges and opportunities associated with sustainable production of biofuel. assessment of environmental risks and the life cycle of biofuels. 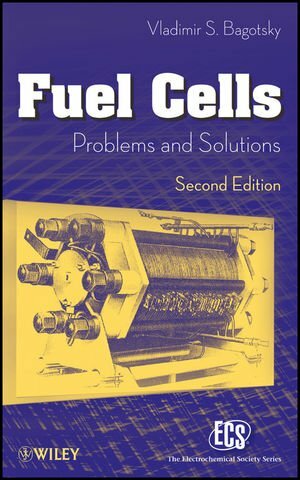 Fuel cells : problems and solutions, 2nd ed. Fuel cells—electrochemical energy devices that produce electricity and heat—present a significant opportunity for cleaner, easier, and more practical energy. However, the excitement over fuel cells within the research community has led to such rapid innovation and development that it can be difficult for those not intimately familiar with the science involved to figure out exactly how this new technology can be used. Fuel Cells: Problems and Solutions, Second Edition addresses this issue head on, presenting the most important information about these remarkable power sources in an easy-to-understand way. Elements of environmental science and engineering, 2nd ed. 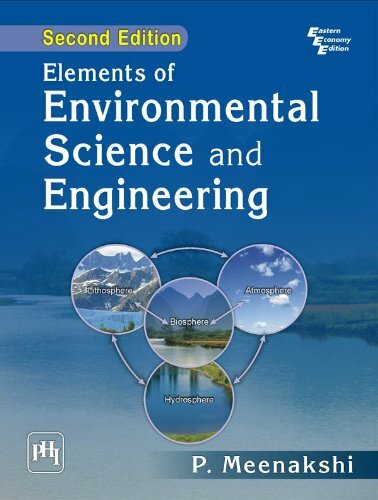 Designed as a text for all undergraduate students of engineering for their core course in Environmental Science and Engineering and for elective courses in environmental health engineering and pollution and control engineering for students of civil engineering, this comprehensive text, now in its Second Edition provides an in-depth analysis of the fundamental concepts. It also introduces the reader to different niche areas of environmental science and engineering. The book covers a wide array of topics, such as natural resources, disaster management, biodiversity, and various forms of pollution, viz. water pollution, air pollution, soil pollution, noise pollution, thermal pollution, and marine pollution, as well as environmental impact assessment and environmental protection. This edition introduces a new chapter on Environment and Human Health. 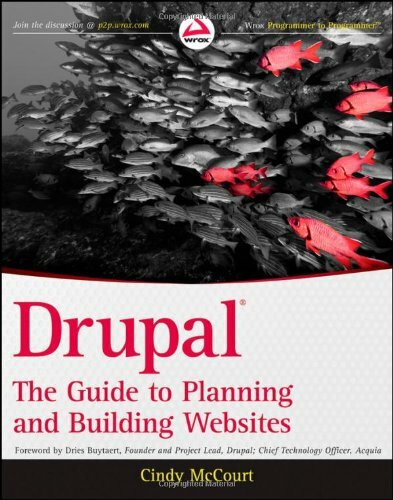 Gives in-depth yet lucid analysis of topics, making the book user-friendly. Covers important topics, which are adequately supported by illustrative diagrams. Provides case studies to explore real-life problems. Supplies review questions at the end of each chapter to drill the students in self-study. Safe and effective management of solid waste generated by the community governmental agencies and industries is the need of the hour. 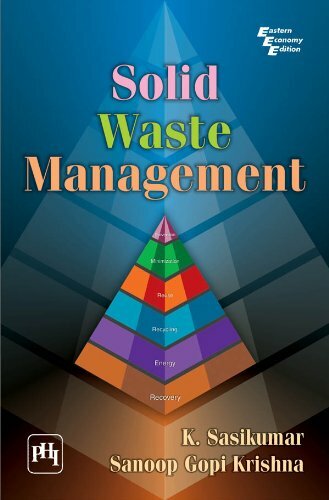 This compact book describes how to avoid, minimize and manage solid waste and discusses models which, if implemented, can solve many of the current solid waste problems. The text discusses the various sources of waste generation, composition of solid waste and the need for designing a strategic plan for solid waste management. It explains the importance of public involvement, and public awareness in managing solid waste besides giving an account of solid waste management hierarchy. In addition, the text describes in detail factors to be considered while developing a waste management programme, techniques for the recovery, reuse or recycling of solid waste, techniques of composting, and how to manage special wastes such as bio-medical waste, plastic, and e-waste. Case Studies of selected municipal corporations lend a practical flavour to the book. This comprehensive text presents the subject of metalworking by offering a clear account of the theory and applications of metal forming processes relevant to engineering practice. It is designed to serve as a textbook for undergraduate and postgraduate students of mechanical engineering, production engineering, industrial engineering, and metallurgical engineering. The first seven chapters are devoted to basic concepts to equip the students with the background material on mechanics, material sciences and to provide them with a sound foundation in the theory of plasticity. In addition, the importance of friction and lubrication in metal forming processes is adequately highlighted. 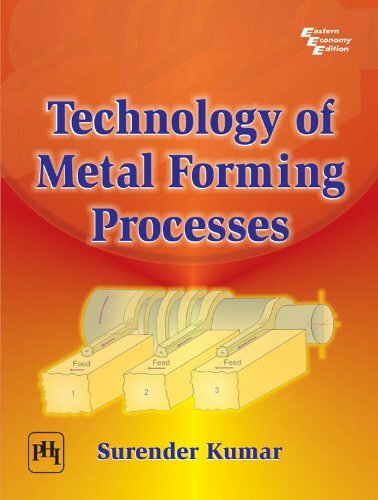 In the next nine chapters the reader is exposed to a richly detailed discussion of specific forming processes (including the lubricated metal forming processes) and new and powerful techniques are presented (load bounding and slip line field) for solving engineering problems in metal forming. The book then moves on to forming of polymers and also covers metal powder preforms, highlighting recent developments. In the concluding portions of the book, the important factors such as force power requirements, formability and machinability in the study of individual processes, are briefly discussed. Finally, the application of computer-aided analysis in the metalworking processes has been demonstrated, being the demand in this competitive scenario. 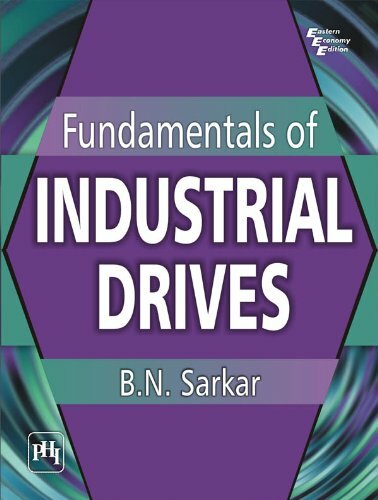 This book is a comprehensive treatment of the basic concepts of electric motor drives and their industrial applications. It is well developed to assist the students in a thorough understanding of the subject matter from fundamental principles. Both the conventional and the modern schemes of drive mechanisms, employing power electronic devices, have been explained in great detail. Besides the speed control and braking characteristics of electric motors, their thermal characteristics, and transient and dynamic behaviour have also been explained. The procedure for the selection of a motor for a particular application, with the comparative characteristics of all such motors, has been elaborately discussed. Explains basic concepts through a large number of illustrations and worked-out examples. Derives system equations step-by-step from fundamentals. Discusses the development of the power electronic devices, dc choppers and the applications of electric drives in various industries. Gives chapter-end questions and problems with answers to reinforce a student’s grasp of the subject matter. Petrology (from Greek: petra, rock; and logos, knowledge) is the branch of geology that studies rocks, and the conditions in which rocks form. Petrology utilizes the classical fields of mineralogy, petrography, optical mineralogy, and chemical analyses to describe the composition and texture of rocks. Modern petrologists also include the principles of geochemistry and geophysics through the studies of geochemical trends and cycles and the use of thermodynamic data and experiments to better understand the origin of rocks. A broadly enhanced new edition of Luke Ahearn’s cornerstone game art book “3D Game Textures” is here. When digital art software was in its infancy, most digital art, especially vector art, was textureless. With the advance in software, it is now possible to incorporate texture into most types of digital art. However, if the artists cannot build their own textures, they are limited to using commercial textures. 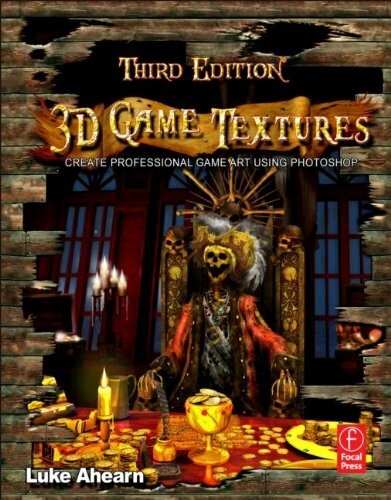 In this enhanced 3rd edition of Luke Ahearn’s gem of a book, not only does Luke teach you how to create your own unique textures, he also teaches how to create shaders (the visual effects – reflections, refractions, opacity – that make textures come to life) and materials (collections of shaders that fill well together to map to a particular scene or environment). You can now expand your skill set immeasurably, and create more compelling, varied art work from scratch. The companion website includes: demo versions of relevant software; resource images; all images from the booK. 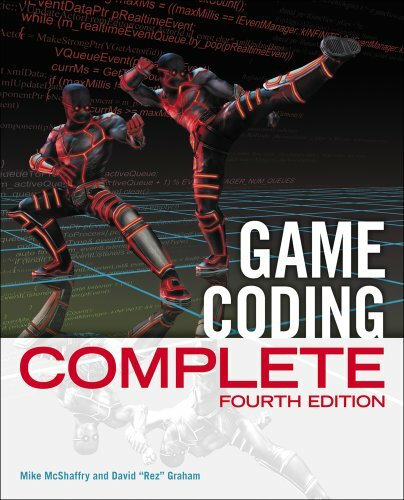 Game coding complete, 4th ed. 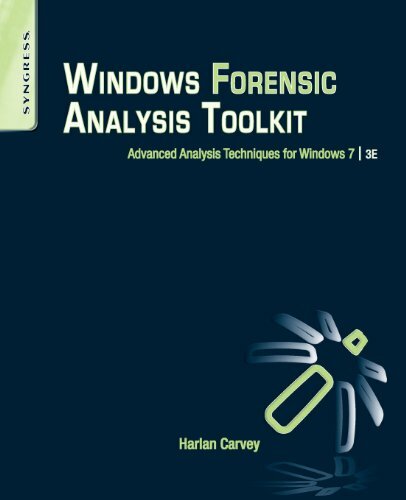 Windows forensic analysis toolkit : advanced analysis techniques for Windows 7, 3rd ed. Windows is the largest operating system on desktops and servers worldwide, which means more intrusions, malware infections, and cybercrime happen on these systems. Author Harlan Carvey has brought his bestselling book up-to-date by covering the newest version of Windows, Windows 7. Windows Forensic Analysis Toolkit, 3e, covers live and postmortem response collection and analysis methodologies, addressing material that is applicable to law enforcement, the federal government, students, and consultants. The book is also accessible to system administrators, who are often the frontline when an incident occurs, but due to staffing and budget constraints do not have the necessary knowledge to respond effectively. Now the companion material is hosted online as opposed to a DVD, making the material accessible from any location and in any book format. Computational experiments on algorithms can supplement theoretical analysis by showing what algorithms, implementations, and speed-up methods work best for specific machines or problems. 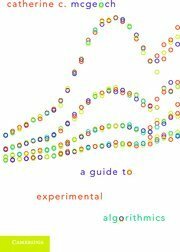 This book guides the reader through the nuts and bolts of the major experimental questions: What should I measure? What inputs should I test? How do I analyze the data? To answer these questions the book draws on ideas from algorithm design and analysis, computer systems, and statistics and data analysis. The wide-ranging discussion includes a tutorial on system clocks and CPU timers, a survey of strategies for tuning algorithms and data structures, a cookbook of methods for generating random combinatorial inputs, and a demonstration of variance reduction techniques. Numerous case studies and examples show how to apply these concepts. All the necessary concepts in computer architecture and data analysis are covered so that the book can be used by anyone who has taken a course or two in data structures and algorithms. A companion website, AlgLab (www.cs.amherst.edu/alglab) contains downloadable files, programs, and tools for use in experimental projects. Teaching fundamental design concepts and the challenges of emerging technology, this textbook prepares students for a career designing the computer systems of the future. In-depth coverage of complexity, power, reliability and performance, coupled with treatment of parallelism at all levels, including ILP and TLP, provides the state-of-the-art training that students need. The whole gamut of parallel architecture design options is explained, from core microarchitecture to chip multiprocessors to large-scale multiprocessor systems. 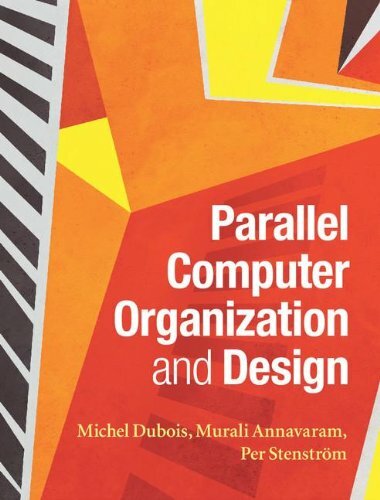 All the chapters are self-contained, yet concise enough that the material can be taught in a single semester, making it perfect for use in senior undergraduate and graduate computer architecture courses. The book is also teeming with practical examples to aid the learning process, showing concrete applications of definitions. With simple models and codes used throughout, all material is made open to a broad range of computer engineering/science students with only a basic knowledge of hardware and software. Modern power system analysis, 4th ed. The carefully crafted fourth edition of Modern Power System Analysis guides the reader from the basics of the power sector through its innumerable developments, which then very logically exposes the state of the art. The book provides for an in-depth study of Power Systems Analysis, Power Systems Stability, and Power Systems Operation and Control courses as offered at the undergraduate level across Indian universities. The rich and robust content caters to the requirements of a related postgraduate course and will also greatly benefit practicing engineers. Chapters on Power system transients, HVDC. Topical enhancements made to meet changinge curriculum requirements–influences of environmental constraints on power systems, magnetic field and electrostatic induction, control by midline boosters, maintenance scheduling, power system reliability. Important technological advancements discussed–AGC of restructured power systems, smart grid, power system communication, etc. Teaching appendices considerably enhanced and elaborated to serve as rich sources of knowledge. MCQs developed and other pedagogical features refreshed as per examination patterns. Science and engineering of materials, 6th ed. The Science and Engineering of Materials Sixth Edition describes the foundations and applications of materials science as predicated upon the structure-processing-properties paradigm with the goal of providing enough science so that the reader may understand basic materials phenomena, and enough engineering to prepare a wide range of students for competent professional practice. By selecting the appropriate topics from the wealth of material provided in The Science and Engineering of Materials, instructors can emphasize materials, provide a general overview, concentrate on mechanical behavior, or focus on physical properties. Since the book has more material than is needed for a one-semester course, students will also have a useful reference for subsequent courses in manufacturing, materials, design, or materials selection. 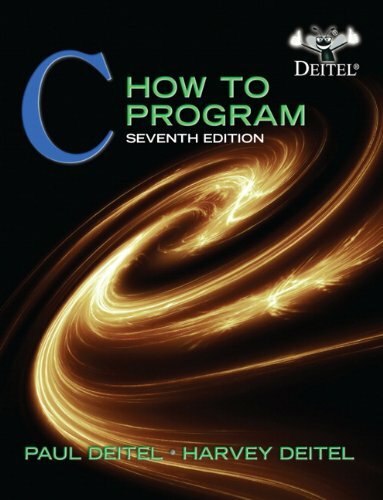 C : how to program, 7th ed. The Deitels’ How to Program series offers unparalleled breadth and depth of object-oriented programming concepts and intermediate-level topics for further study. Using the Deitels’ signature “Live-Code™ Approach,” this complete, authoritative introduction to C programming introduces fundamentals of structured programming, and covers relevant features of C language’s C-201X standard. It also includes an updated treatment of C++ for those who want to transition to object-oriented concepts. Finally, new material on security is added to this edition. Examples and exercises work with popular C compilers including GNU GCC and Microsoft Visual C++. Optional modular sections on the C99 and recently approved C11 standards that are easy to include or ignore. Updated various coding practices to the latest idioms. We’ve adhered to many of the CERT secure-C programming guidlines. Removed all return 0; statements at the end of main, because that is the default. Switched old-style C comments to the newer // comments for a more current feel. Companion Website includes Dive-Into® videos demonstrating how to use the Visual C++ IDE and GNU C compiler to compile C programs.